The buzz words for today’s benthic marine scientists are undoubtedly ‘mesophotic coral ecosystems’, or MCEs. 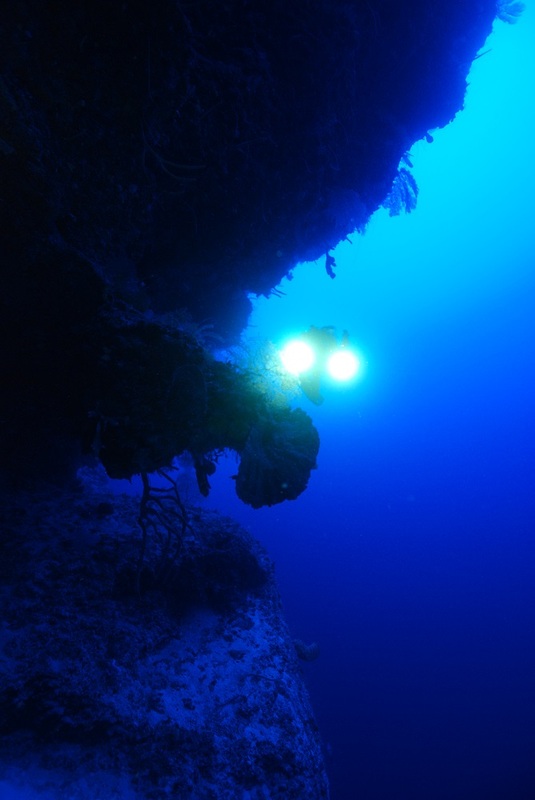 The term mesophotic, or middle/medium light, refers to the region of the ocean below the photic zone where light is the major driver for photosynthesis by corals and algae, but above the aphotic zone where in the dark organisms rely on other means for productivity. These transitional depths, say from 200 to 500 feet (60 to 150 meters) in depth encompass a significant area of our oceans’ benthic habitat, and remain poorly understood, and largely unexplored. The boom in deep sea exploration was the result of finding life associated with white and black smokers, or thermal vents, on the deep sea floor. 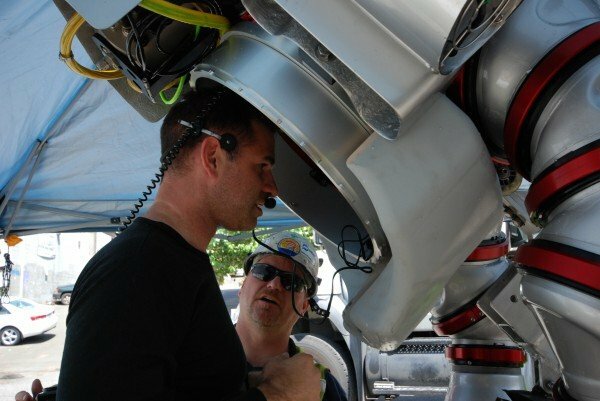 This focus shifted robotics and submersible technologies to evolve in support of science in this region, and not so coincidentally, this is where the monies have gone for study. 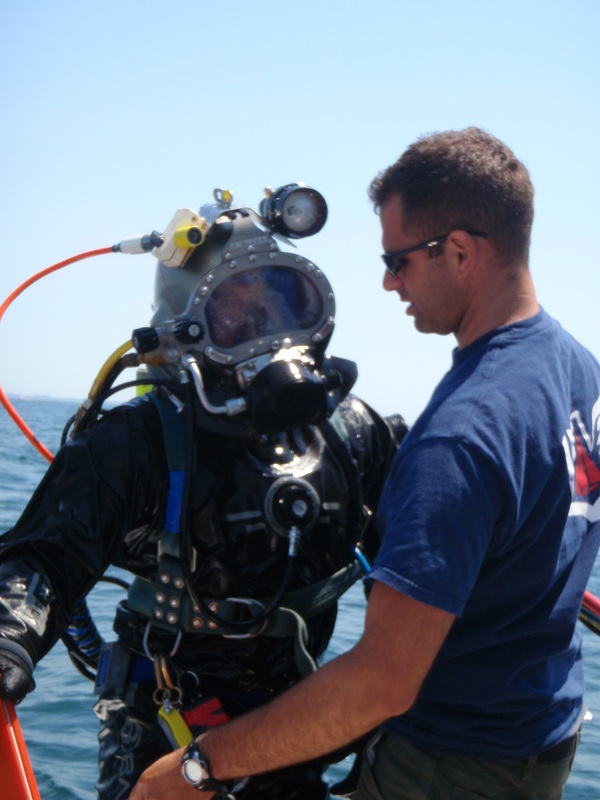 On the other side of the spectrum, shallow more conventional get-your-feet-wet benthic ecology has focused on depths within the range of recreational SCUBA, not exceeding 130feet/40meters. By virtue of two vastly different vehicles for exploration, the mesophotic zone remained more in the dark than in the light until very recently. 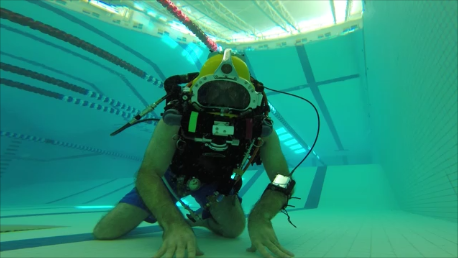 With the expense of robotics and autonomous vehicles/instrumentation coming down, and innovations in diving technology on the up, the two are now able to meet in the ‘middle’ so to speak to take a closer look at this mesophotic coral ecosystem. In 2008, a NOAA sponsored workshop was held to specifically address research and management priorities in the MCE. Just one of the many results included a dedicated website http://www.mesophotic.org/ to provide a clearinghouse for information, research, and platform to catalyze collaboration. This shows some promise, not only in the emerging focus on exploration of the MCE, but by the science community embracing the Internet in such a manner. Now, the challenge still remains in accessibility of the MCE. To consider that the last 60 years of benthic ecology have focused on the shallows suggests that there is a tremendous opportunity for those who can dive a little deeper. 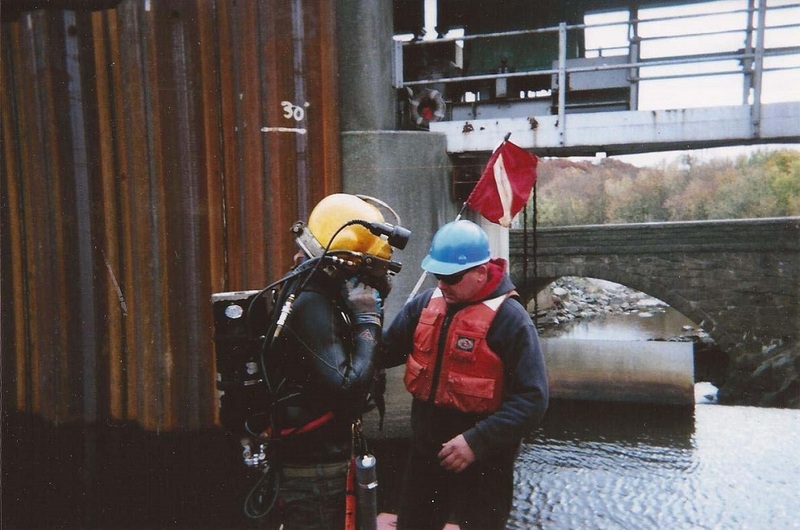 But, that comes with an early-career commitment to training, cost of new equipment, and maintaining proficiency in a highly technical set of skills. My personal belief is that we, as a community, need to demonstrate productivity working in the MCE, and with that will come a wave of interest and subsequent support at a larger scale. 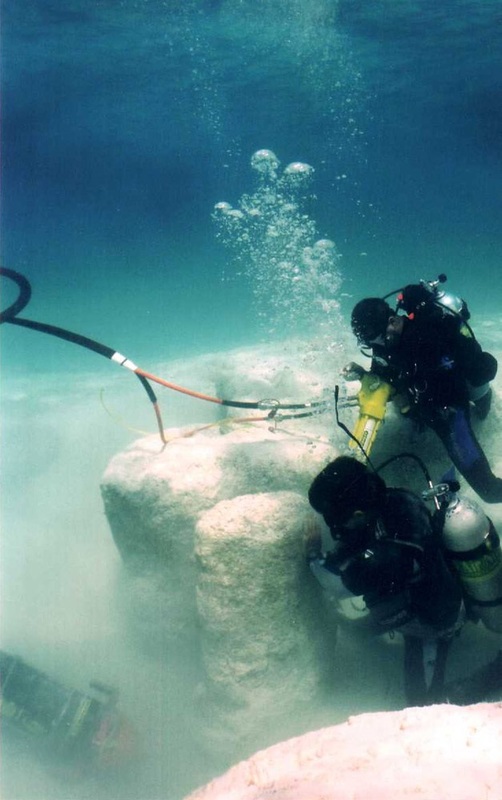 My team’s work was supported by the National Geographic Society in 2010, as we conducted benthic investigations to over 430 feet/130 meters off of Andros, Bahamas. We learned a lot, but perhaps most importantly demonstrated that a small team can set out to a remote location and work safely and productively – and within a modest budget. For those considering a career in the marine sciences – don’t overlook this mesophotic coral ecosystem. Opportunities abound…from hard science, to technological innovation, to conservation and management, and beyond. 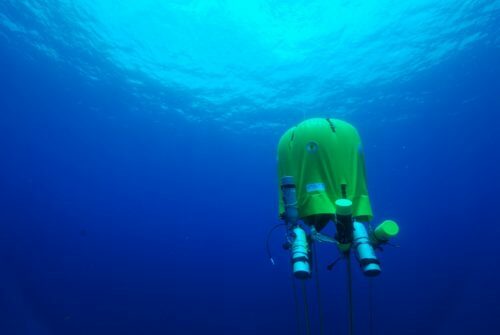 For more on our work on the MCEs in the Bahamas, visit www.oceanopportunity.com/BahamaDeep.html, or http://ocean.nationalgeographic.com/ocean/explore/deep-fore-reef-in-toto/ . For those of you in the Boston area, I will be presenting the exciting results of our research, along with some breathtaking imagery from the field at the Boston Sea Rovers clinic on March 5th at 11AM.